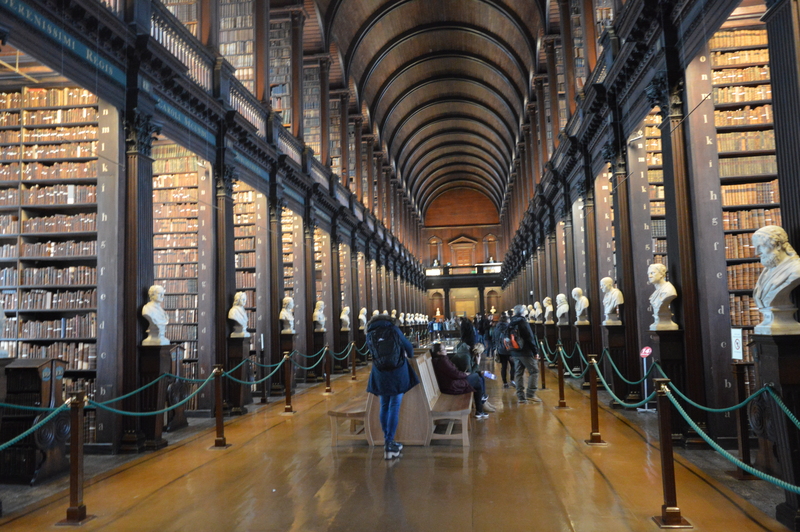 We recently spent a week in the amazing country of Ireland (thanks to a $316 roundtrip flight deal). 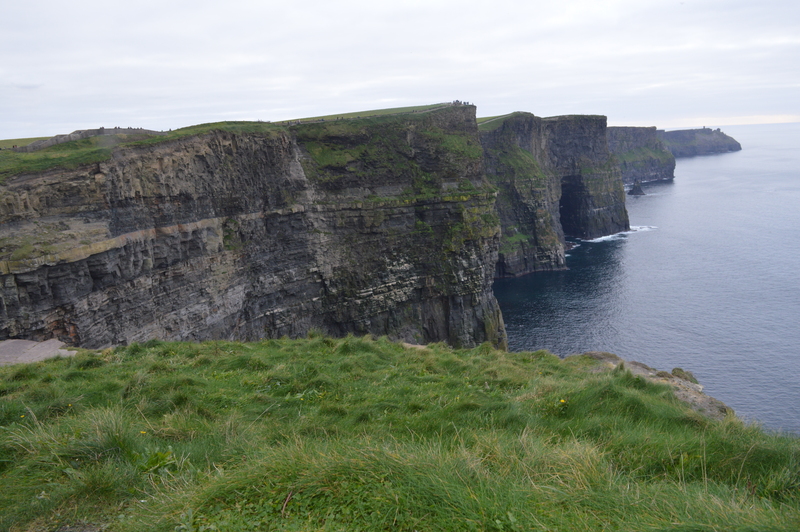 Unlike most people who travel to the Emerald Isle, Mrs. Barred in DC and I decided not to rent a car, instead taking public transportation to travel to the west of Ireland (Galway and the nearby Burren and the Cliffs of Moher), Kinsale in the south, and back to Dublin. Amazing it didn’t rain the whole time we were there until the morning we left Ireland. We’ll be back, soon. 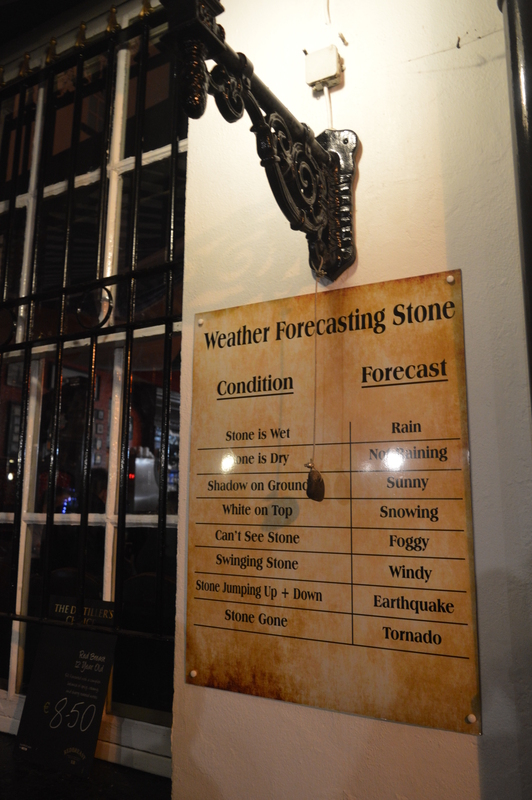 Here’s an overview of bar culture in Ireland, a recommended itinerary for a weeklong car-free Ireland adventure, and a ranking of the pubs we visited. For many, Irish pubs are the best part about the beautiful country. It certainly was for us. 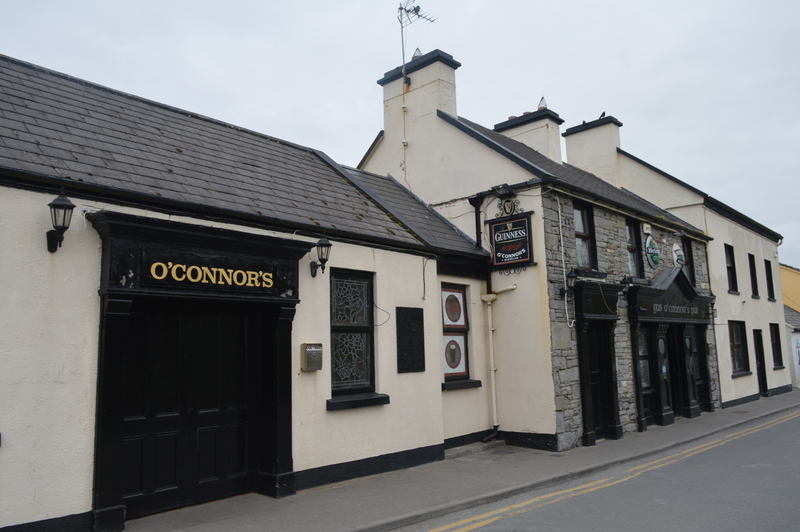 We spent 7 nights and 8 days in Ireland, imbibing at 34 pubs along the way. Pubs in Ireland are incredibly warm and friendly places; we made new friends-both locals and visitors from around the world. Acoustic music (a guy on a guitar or larger groups playing together) was heard in most spots we visited, with musicians playing a mix of popular “Irish” folk songs (favorite: Dirty Old Town) as well as covers you would hear at any frat party in America. Pubgoers would frequently join in the action to sing and sometimes even play an instrument. Most bars had steady crowds all day, but only a handful really went full tilt late night. Sometimes we could start a tab if you sat at the bar when it was not that busy (chatting with the uniformly friendly bartenders), but we usually paid for drinks as you ordered them (even those covered by credit card). Tips weren’t standard; sometimes we left a few coins if we paid in cash. Beer was the drink of choice most of the time. 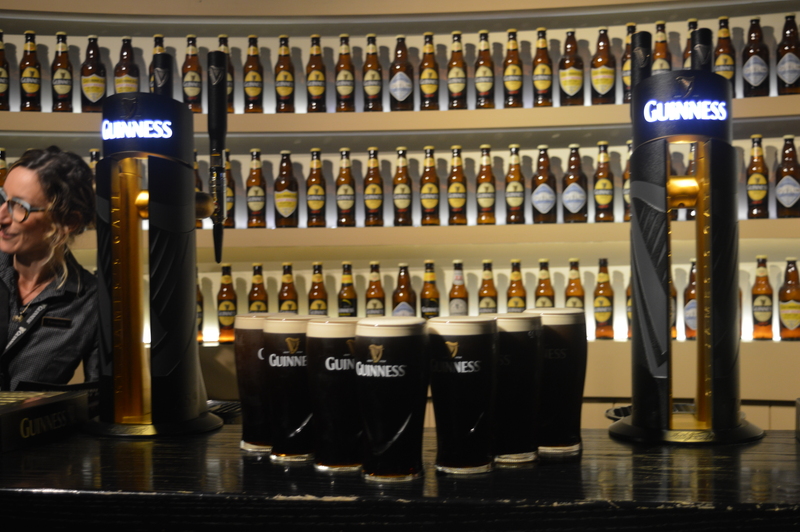 If you order a “beer” in Ireland, you’ll typically get a full pint (570 mL, about 19 oz.) of Guinness. A “glass” (which Barred in DC unabashedly ordered; glasses were supposedly originally devised so women could drink at pubs) is a half pint. Pints ran about 4-5 euros usually. Beer taps were adorned with brightly lit tap handle facades, much larger than here in the U.S. Unsurprisingly, nearly every single pub we went to had Guinness on tap, and most patrons would drink that. Other beers on tap in most spots included Irish products like Smithwick’s (Irish red ale), Murphy’s Irish Stout, and Bulman’s Irish Cider (if you can find Beamish on tap, get that, so good), and terrible European macro-like beers like Carlsberg and Heineken. Surprisingly, most bars we had served Budweiser and Coors Light (bartender said that pubs were required to serve them to get the other more desired beers) though I rarely saw anyone drank that. Beer is quite sessionable in Ireland-hoppy high ABV IPAs are fairly rare-you could down pint after pint and still be in decent shape. 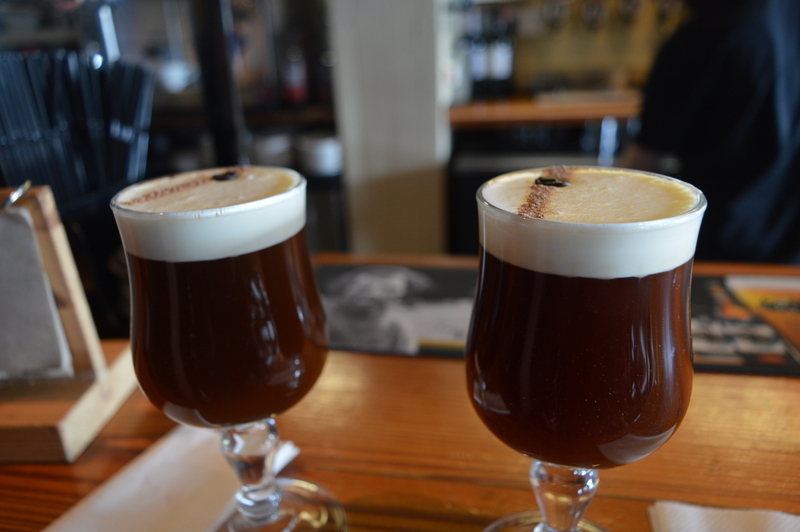 Aside from beer, bars offered lots and lots of Irish whiskey. 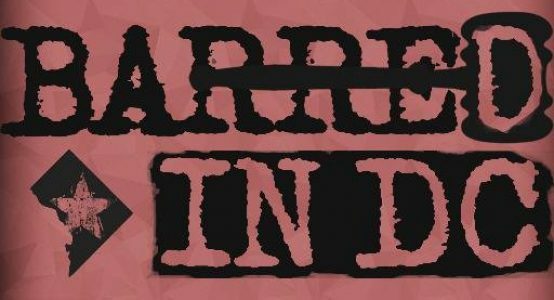 The more common varieties of whiskey and other types of liquor are hung upside down behind most bars, with a spout so the bartender can precisely measure out the 35.5 mL (1.2 oz.) standard pour for a single liquor drink. We consumed a ton of Jameson, easily the most common variety of Irish whiskey, and saw plenty of promotional signs encouraging mixing with ginger ale. pubs rarely have the drink guns behind the bar; mixers for drinks are usually an extra cost (couple euro), and come in mini-glass bottles that can cover 2-3 mixed drinks (There were some mixers (“white lemonade”) that were poured out of plastic liter bottles to top off liquor). We flew into Dublin’s International Airport after taking an overnight United redeye from Dulles, and, after picking up our bags, grabbed a seat on the Irish Citylink bus (around 20 euros; allow about an hour to get through security and baggage) for a comfortable 3 hour ride across the country to Galway. Staying at the affordable (though a nearby loud club kept us up later than ideal) Skeffington Arms Hotel right on Eyre Square (JFK gave a speech here while president) in the center of Galway, we spent 2 nights in the youthful city. 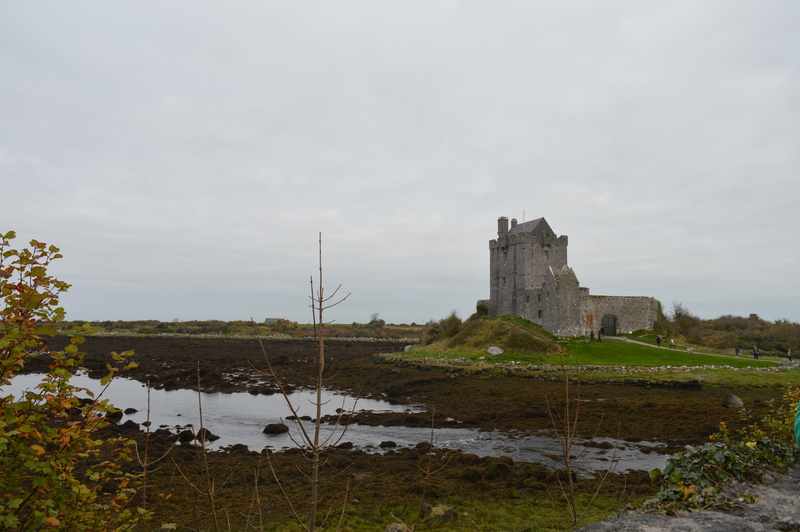 Galway itself is worth just strolling around and enjoying the pubs and medieval atmosphere-there’s not much in the way of sights. Instead, we took a well-organized 8-hour bus tour from Galway Tour Company (25 euro), taking us south through the Country Clare and many cool sites including The Burren (desolate landscape with unique flora and fauna), a lunch/pub stop in the wonderful village of Doolin, and the dramatic and beautiful Cliffs of Moher. Back in Galway, we joined the cheap Shamrock Pub Crawl with a group of Brazilian guys (learning English on a student visa-not the only Brazilians we ran into on the trip) with a fun American-Irish student tour guide. Our stay in Galway included incredible fish & chips (and some enormous local oysters) at McDonagh’s, right on the main drag. 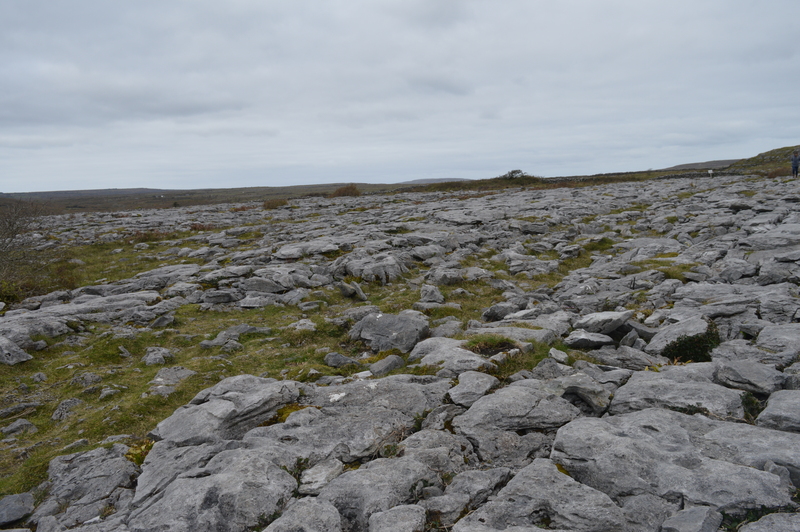 It would have been nice to have another night in Galway (taking a bus tour to the wild region of Connemara); we’ll do it again someday. Our journey took us on yet another Citylink bus (22 euro), cutting south and east just over 3 hours to Cork Airport; from there, instead of flying out of the modern airport, we waited about 40 minutes until the local Bus Eireann (#226; 7 euros, bring exact change0) came by to take us the final 30 minutes to the beautiful harbor/coastal town of Kinsale. 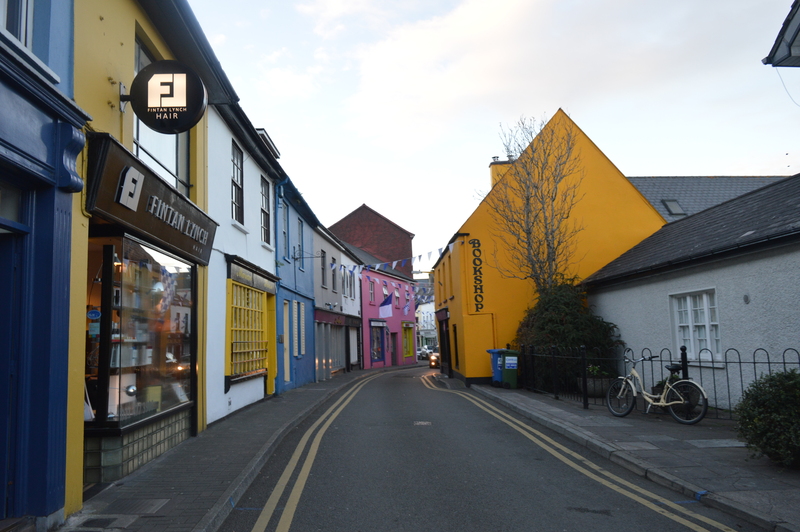 Colorful and charming Kinsale (the buildings are all painted different colors) treated us to incredible food, particularly fresh and inventive seafood (have a traditional meal at Jim Edwards , and although it’s a bit over-priced and touristy, definitely go to the famous Fishy Fish by the habro). We stayed at the highly-recommended Old Bank House. The elegant rooms (with chandelier) overlooked the town and the harbor; an amazing breakfast (incredible omelets made with farm fresh eggs, Irish cheddar, and Irish ham) awaited us each morning. As guests, we were also able to get a night cap after closing time at the affiliated Blue Haven hotel down the street. 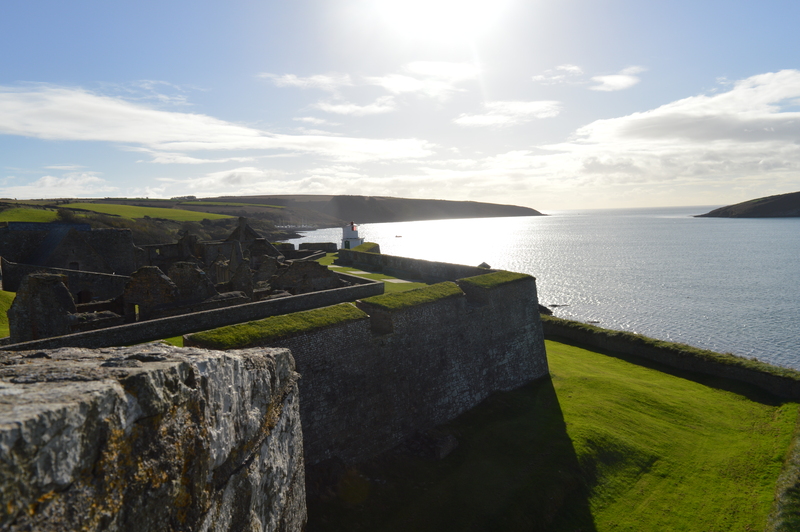 Sightseeing in Kinsale includes strolling around at atmospheric streets, hopping into boutiques and other cute shops, and walking by the harbor, but no trip would be complete without heading to the 350-year old star-shaped Charles Fort (4 euro). We were rewarded with stunning views of the Kinsale harbor, as well as the Atlantic Ocean in the distance. 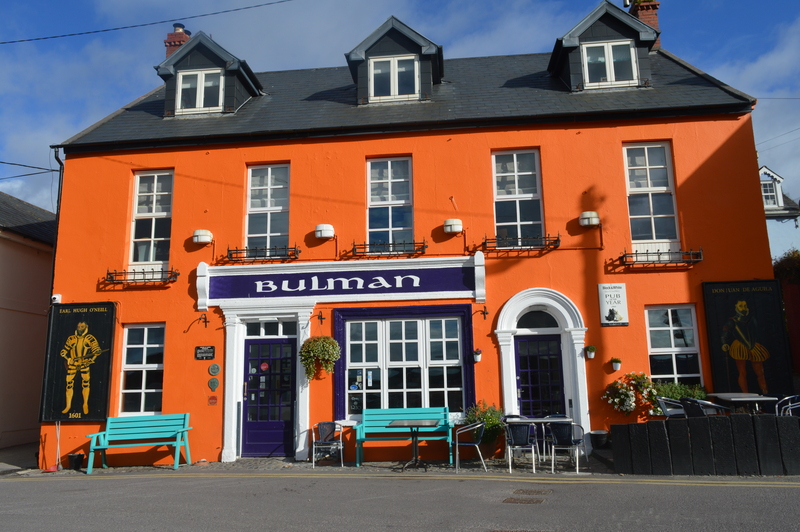 Although we took a 9 euro taxi to the fort, on the way back to Kinsale town, we stopped by the famous Bulman Bar and leisurely walked along the harbor on the famous Scilly Walk (about 2 miles one way). 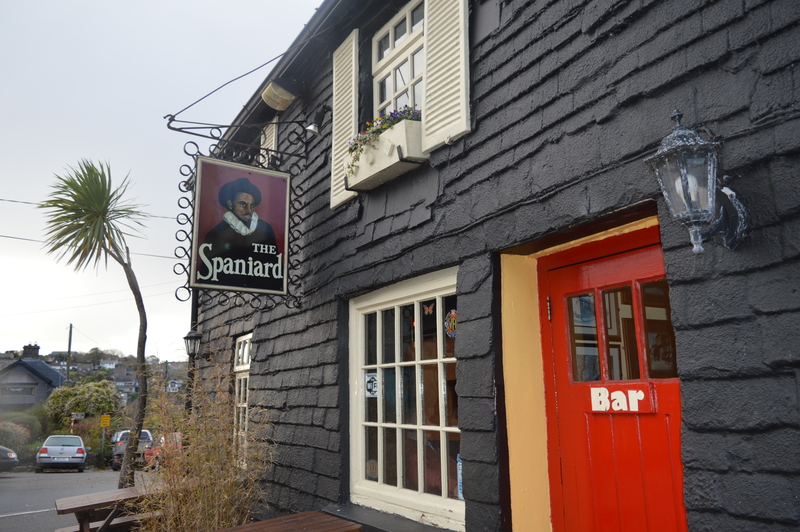 We grabbed nosh and fluids at our favorite Kinsale pub, The Spaniard, (with some colorful characters0 before heading back to town. Although we could have spent many more days in Kinsale, alas, after 2 nights, we got back on the #226 bus, this time (around 7 euro again) taking it to Cork Bus Station about 50 minutes away. A couple hours later, we were on the incredibly comfortable Irish Rail for a 3 hour train ride to Dublin (40 euro). 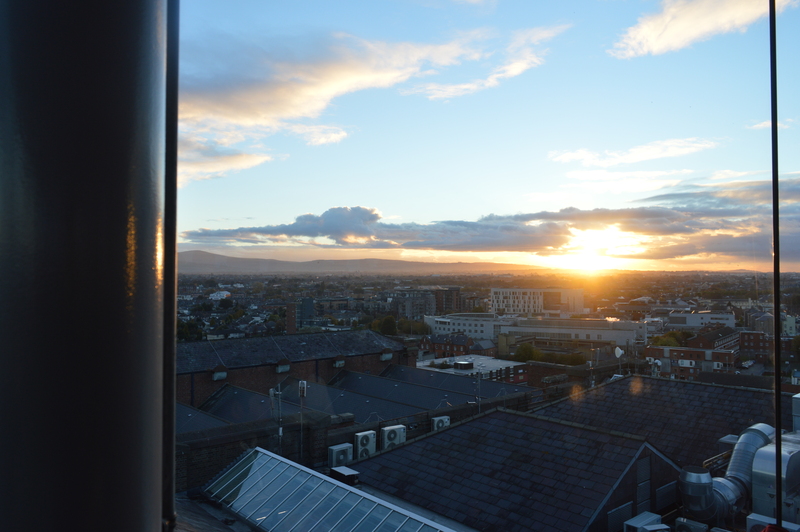 In the Dublin, Ireland’s largest city and capital, we stayed at the uber-stylish The Morgan (get a cheap rate anywhere in area using Hotwire secret rate hotels). The Temple Bar is the main nightlife area of Dublin, full of men and women on stag and hen parties. Although local Dubliners seem to despise the neighborhood’s high prices (pint’s were one euro more than other areas) and crowds, this is basically the main area for late night drinking. Pubs, though not particularly Irish/authentic, in Temple Bar are fun, lively, and often crowded, and most feature live music. 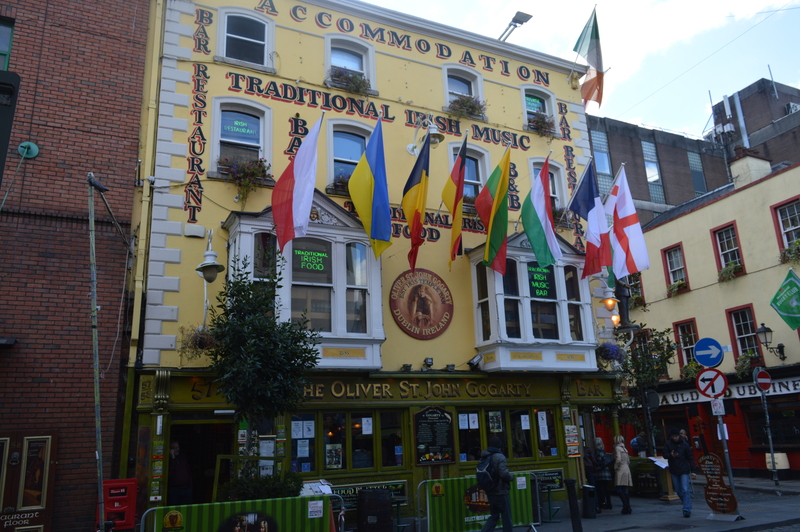 We recommend the 13 euro Irish Musical Pub Crawl, which takes listeners to 3 different pubs (both in Temple Bar and near O’Connell Street across the river); it features a superb overview of Irish music offered by 2 funny Irish musicians (Mrs. Barred in DC even played a country music song to the 50 other people that joined the crawl). Worthwhile tourist activities in Dublin include touring the pretentious Trinity College grounds (the Book of Kells-an ancient illuminated manuscript Gospel book in Latin, containing the four Gospels of the New Testament-and the college’s library are a must) strolling through Merion Square and St. Stephen’s Green (beautiful examples of Dublin’s famous doors are nearby), walking down the shop-filled Grafton Street area, and visting the atmospheric and historic Kilanmain Gaol (make sure you buy tickets in advance). This jail housed prisoners, including many key figures in the rebellion against the U.K. and others in the tragic Irish Civil War that followed. 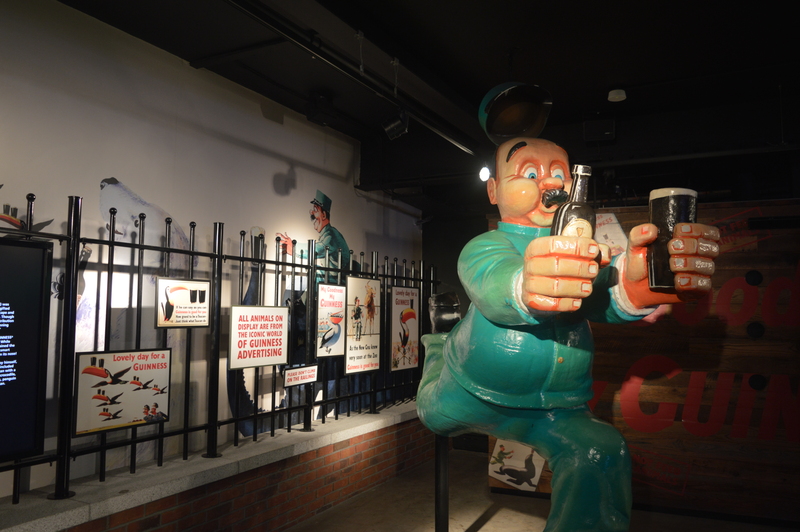 The emotional tour is a must for any visitor to Ireland; the Gaol is best paired with a walk by/through the courtyard of the Royal Hospital (now the Irish Museum of Modern Art) down to the Guinness Brewery. 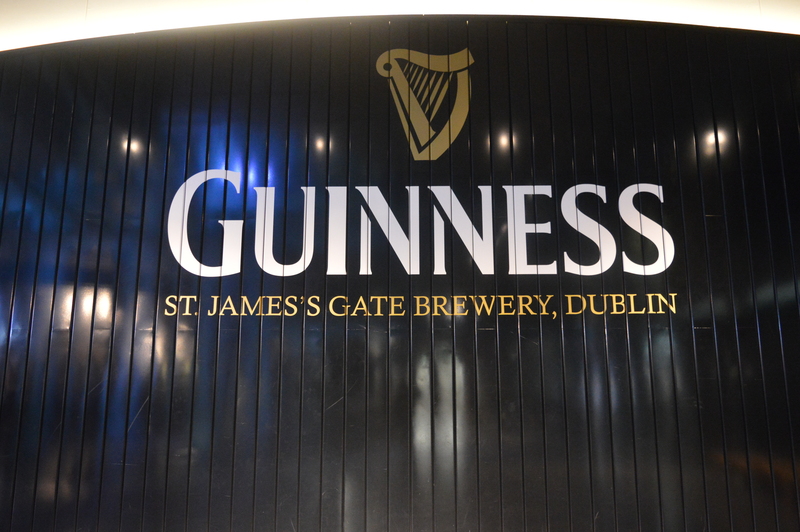 The Guinness Storehouse is worth a visit if you like Guinness at all, even accounting for its steep 20 euro cost (14 euro for certain advance purchases). The Storehouse is like a beer amusement park devoted to the history and production of Guinness (it’s actually made elsewhere on the sprawling grounds), and includes a fun Guinness Academy where you learn how to pour a proper pint from a tap after learning how to drink the beer in a Victorian library-type room. The tour concludes with a visit to the Gravity Bar high above the storehouse; spectacular 360 degree views of Dublin and the surrounding area abound. The Folk House – Great spot for live music, lively crowd. Great whiskey and beer.